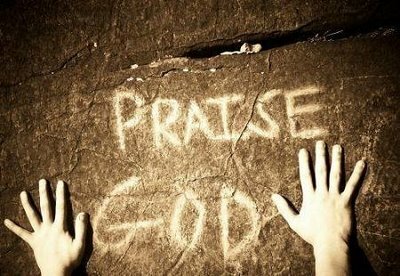 Have a praise report? Want to share anything that God has done for you? Email your praise reports to peopleofpraiseheb1130@gmail.com and we will highlight them. I continue to pray for Pastor Joel & Ylawnda Peebles, our spiritual head at City of Praise Church. In the meantime my brothers & sisters in Christ Jesus, do not forget to pray for those who abuse or despitefully use us, slander, deceive, abandon us or lie to us, etc. because we are commanded to do so by God. We must be mindful of our part in any strife or confusion that may occur in our hearts or minds as we stand in true agape, unconditional love of our Lord & Saviour Jesus. Yes, we must forgive seven times seventy regardless of the sin. “Be angry and sin not” is what the Word says as we go through this time knowing that we’ve got the Victory no matter what the circumstances look like. Allow the Holy Spirit to lead and guide us as we do all that we can about the situation at hand and still love one another and pray for each person involved. Our God is Awesome and he will restore as we do our part to keep it together at City of Praise church. Brothers and Sisters of Jericho, please know that I am continuing to pray for Pastor Joel, his famiy and the members of the Jericho City Body of Christ. My spirit led me to the church’s website tonight and I noticed that there is no mention of your current leadership. (Pastor Joel) I was saddened to see what I saw, then the spirit led me to this page and I see that All is well and Pastor Joel is still leading the Flock. Hold on Saints, God WILL NOT Forsake you. I want to thank God for helping my brother.